Create a dynamic meeting room with the unique shape and standing height feature of our oval shaped standing height conference tables. 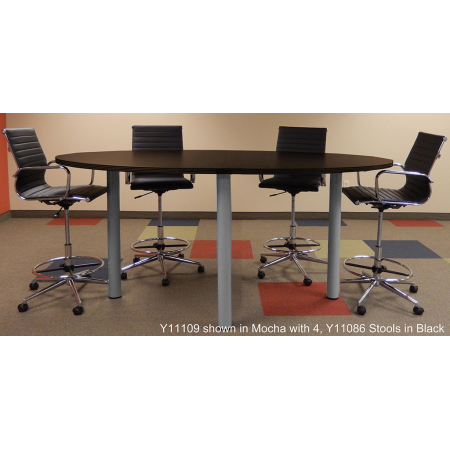 Standing tables add life to the typical conference or meeting by allowing users to easily move and reposition about the table. The unique oval table top shape adds interest and works nicely in tight quarters due the tapered, flowing shape. Construction of this table series is beefed up to offer a stable work surface for day to day use. 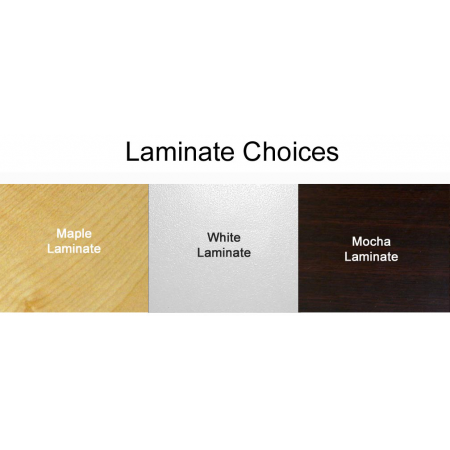 An easy to care for laminate is applied over heavy 1-1/2" thick table tops for durability and low maintenance. Wipes clean with a mild detergent and damp cloth. 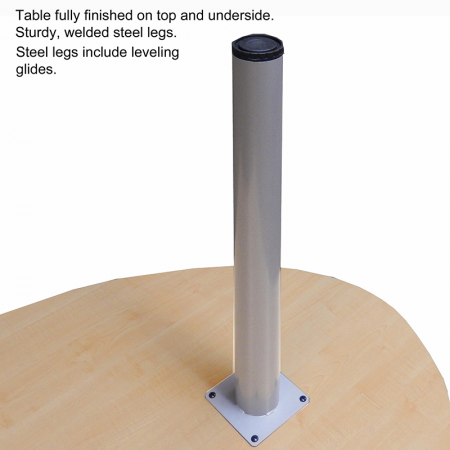 Table edges have a tough 3 millimeter fluted PVC edge banding to resist scratches and scrapes. 8' table sold above. Other sizes sold below. Measures 47-1/2" wide x 94-1/2" long x 41-1/2" high overall. Two oval section table tops with four cylinder legs. Accommodates 6-8 users. Shipping weight 198 lbs. Ships with legs detached. PRICE INCLUDES SHIPPING! (Dock to Dock Truck shipments only - Inside delivery, Residential Delivery and Lift Gates are extra charges). IN STOCK!